For full contact information, please click here. Email us Don't have the time to call? Buy online Of course, if you know what you want, our online store is open 24/7. Most Orders Despatched within 2 -3 working Days (stock located within our own warehouses, no third parties, no hidden drop shipping). 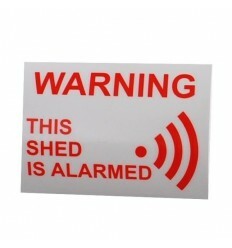 Orders of £75 (including vat): Free of Charge (GB Mainland Only). 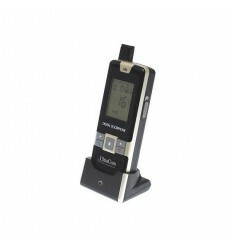 Orders under £75 will be subject to a £4.95 (including vat) charge (GB Mainland). Express Delivery (GB Mainland Only) for orders before midday at an additional cost of £3.99 including VAT (these deliveries will normally arrive the next working day, but are not guaranteed). Please Note: Saturday Deliveries not included, please contact us if you need a Saturday Delivery. Next Working Day (Monday to Friday) Guaranteed Delivery available (GB Mainland Only) for orders before midday at an additional cost of £9.99 including VAT. Orders over £75: (including vat): Despatched via Standard Interlink Service (which will normally arrive the next working day, although not guaranteed), we sometimes choose to use Royal Mail Service for remote locations. Orders under £75: are sent via Royal Mail (first class post) or Interlink Standard Delivery. Please Contact us for shipping costs to: Northern Ireland, Isle of Man, Isle of Wight, Scottish Islands & Channel Islands. For other countries, including British Islands, please see our delivery page. If Deliveries are held up with the Couriers due to circumstances beyond their control such as severe weather conditions or traffic incidents, we are afraid we cannot be held responsible, although we would always work with our customers and courier providers to find the best solution. 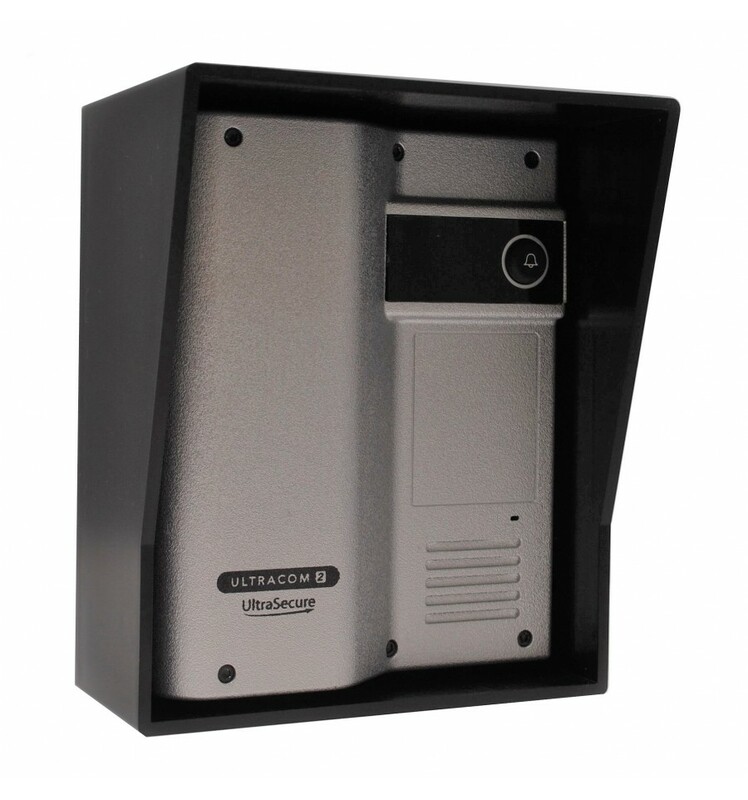 Ultra Secure Ltd are completely dedicated to your total satisfaction and provide a 30-day, no questions asked, money back guarantee on all products purchased, except special order items made upon request. As the goods are shipped from our central UK warehouses it means you are paying the reduced UK VAT rate of 20% resulting in a 3% saving on all purchases. If you are a business in Ireland you can input your VAT Number during the checkout process and purchase the goods with NO UK VAT. Suffolk Police Force. Dorset Police Force. Norfolk Police Force. Various Police Forces in England & Scotland. Tower Of London. MOD. Harrods. National Health Service. Carillion. Royal Air Force. BBC. Numerous Universities. Local Councils. Farms in the UK, Ireland & Europe. Bentley Motor Cars. UK Fire Services. Stop That Thief Campaign. National War Memorial. Colchester Zoo. Rural Farms & Homes. UK Hospitals. And many, many more. See testimonials. Tel: 01604 589414 & 01604 758438. 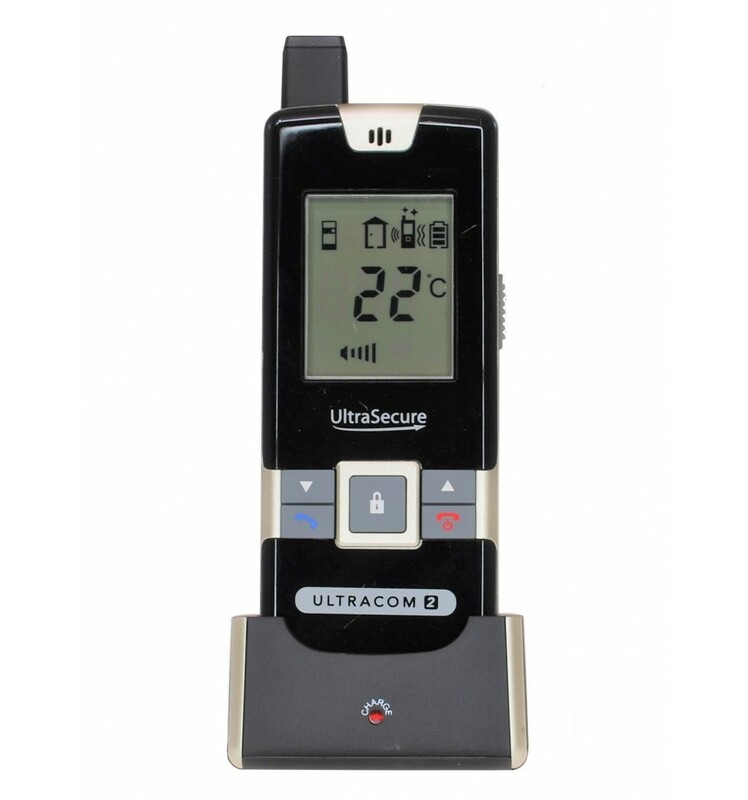 Ultra Secure Ltd was formed in 2003 and are a family run company based in Northamptonshire, we are an online business that actually test & stock all products that we sell, no hidden third parties to rely on. We pride ourselves on giving Honest and Professional advice (see more details). 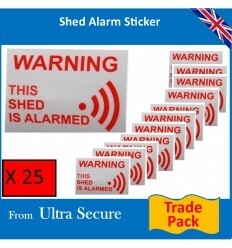 Wireless Shed & Garage Alarms. 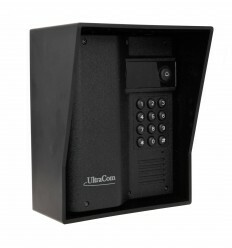 UltraCom2 600 metre Wireless Gate & Door Intercom (no keypad) supplied with 2 x Portable Handsets, 2 x Silver Caller Stations and Black Hoods, allows you to communicate with visitors from 2 x Gates, Doors or Entrances together with the ability to remotely open an Electric Lock (using either Handsets from inside the house). 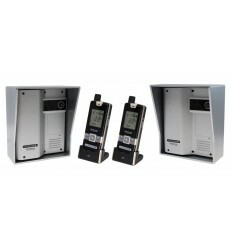 2 x Caller Stations can be used on 2 x Gates, Doors & Entrances. 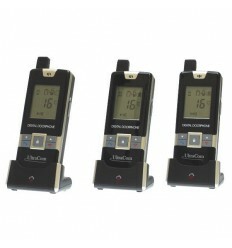 Portable Handsets will show which Caller Station is being used. 600 metre Wireless Operating Range (line of sight). 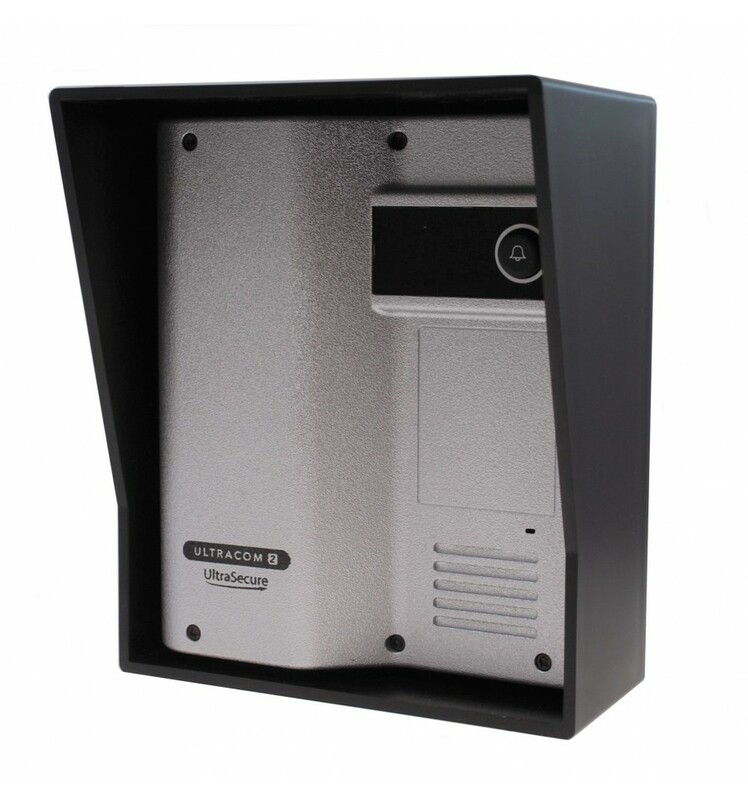 Weatherproof (IP54) Caller Station now supplied as standard with an additional Weatherproof Hood (up to two can be used with any system). 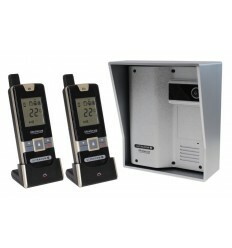 Portable Handsets (allows communication and operation of the gate or door), multiple Handsets can be used in any system. 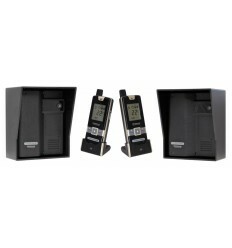 Portable Handsets can communicate between each other. 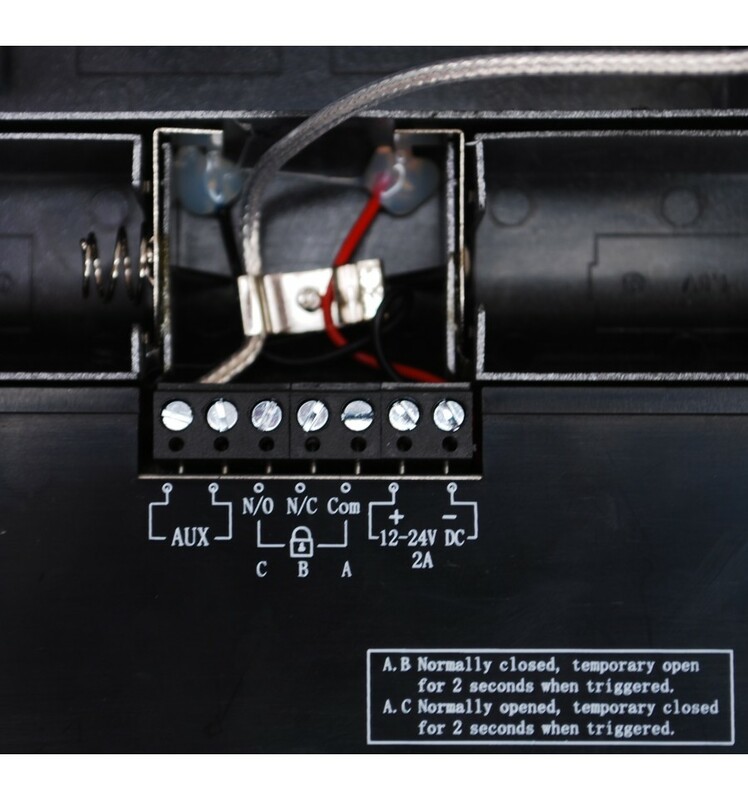 12v - 24v DC or Battery Powered (4C Batteries). 12 - 18 month Battery Life if used with Battery only (in most standard domestic applications). 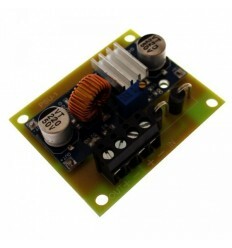 Gate & Door Lock Release Outputs (volt free N/O & N/C relay). 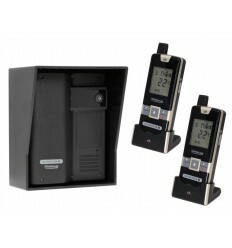 Secure Push to Talk Handset Digital Communication (keeps communication very secure). 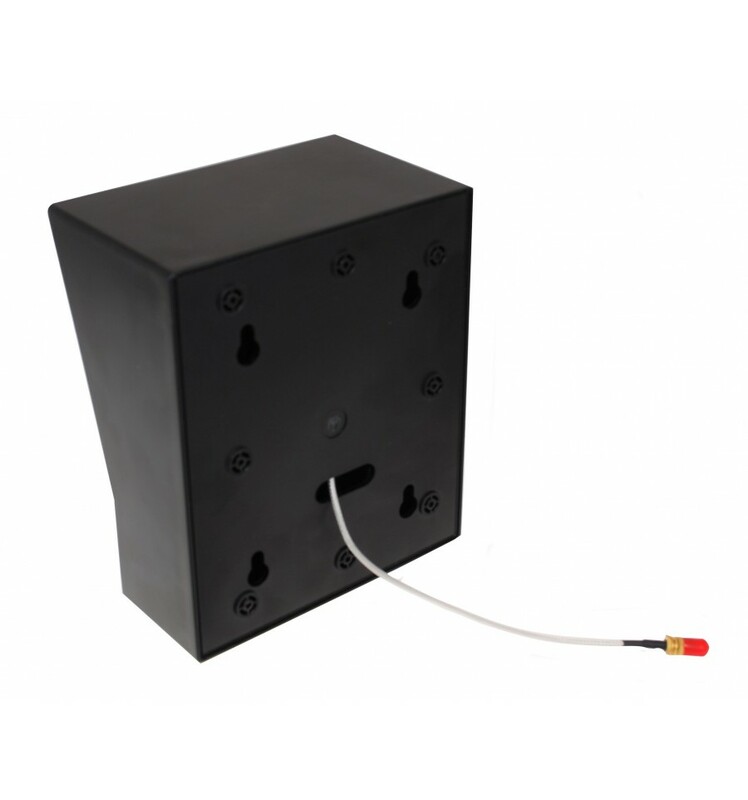 Optional Aerial Connector (ideal for mounting an additional External Aerial onto the rear of a gate post or wall). 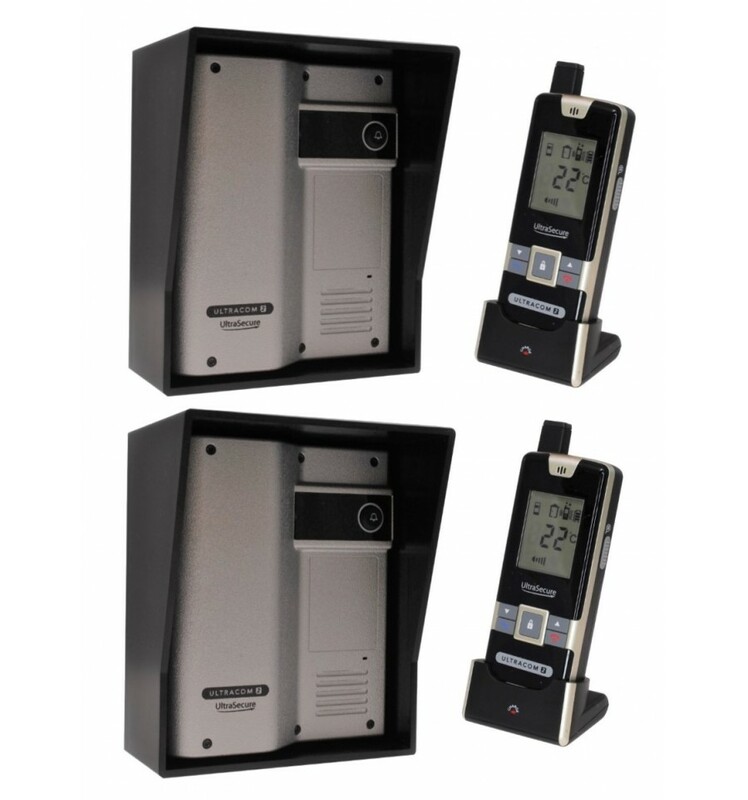 The Caller Stations can be powered by either 12v - 24v DC (which is often taken from the circuit board on Electric Gates/Doors) or Batteries (4 x C Batteries), you can even use both which will result in a Battery backup system should the power supply fail. 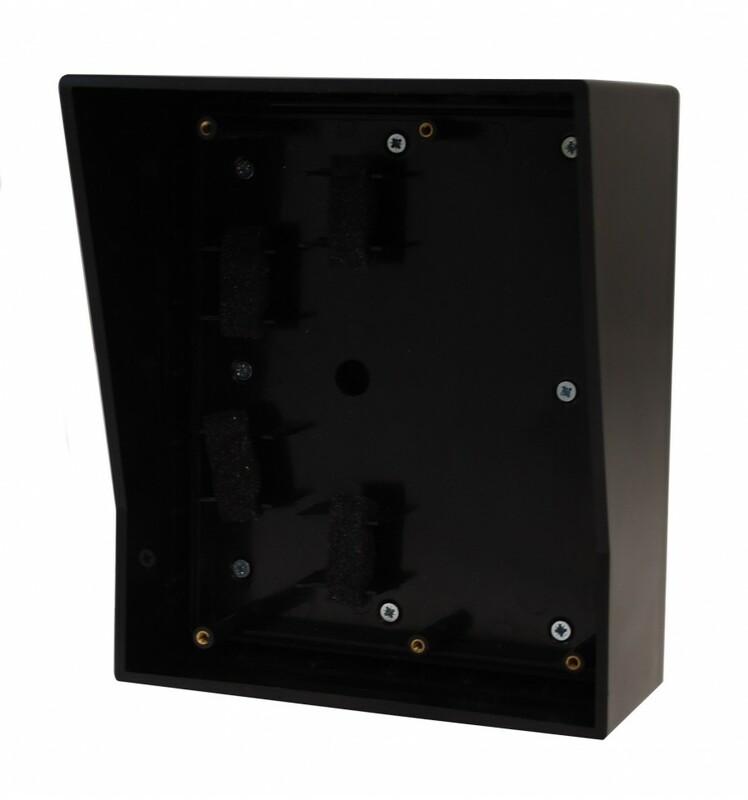 We can also supply a plug in 12v DC Transformer (3 or 2-pin) if this is more convenient for the Installation. 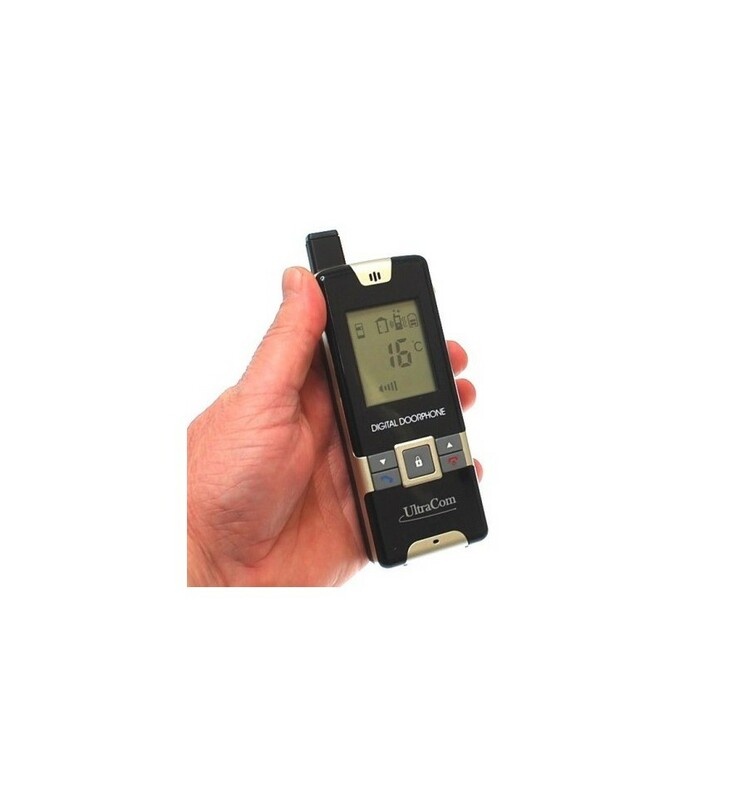 The Portable Handsets are supplied with a charging cradle each, which are powered by Plug in Transformers (3 & 2-pin supplied), once charged the Handsets can be moved around. 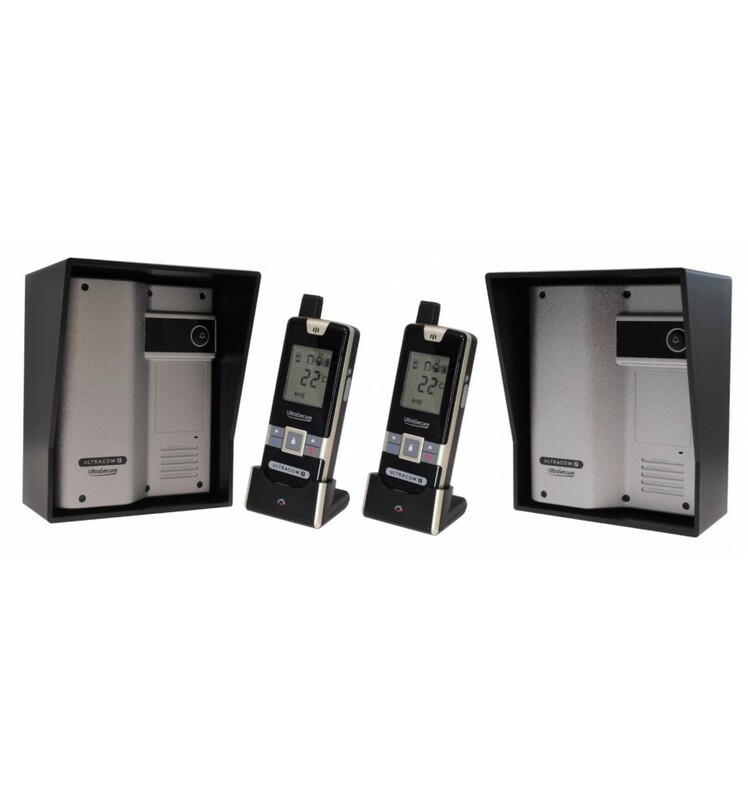 The Caller Stations can trigger a momentary N/O or N/C Output which can be used to trigger most types of Electric Gates & Doors (if in doubt please contact us for advice). 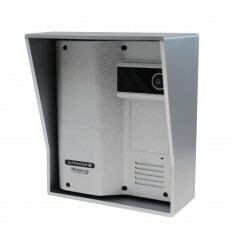 The weatherproof Silver coloured Caller Stations are now supplied as standard with a Outdoor Hood, which provides additional protection from severe weather conditions and protection against moisture creeping in from the walls. 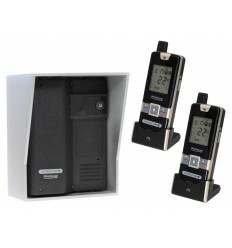 When a visitor presses a Call Button on either Caller Station, the Portable Handsets inside the property will identify which Caller Station and chime allowing for the homeowner to answer the call (by a single press of a button) and open up two way communication with the visitor. 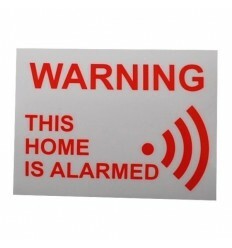 Once the homeowner has established who the caller is, they can choose to activate their Electric Gate, Barrier or Door (if relevant) using the Handset from the comfort and safety of their home. 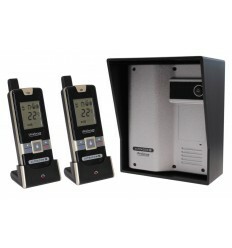 Chime, Vibration & Flashing Alert. Multiple Handset Use (no limit). 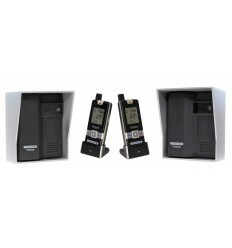 Handset to Handset Communication (once in communication a secure network is established). Door or Gate Release Functions. 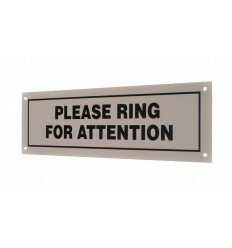 Front & Rear Gate Indicator (if used with 2 caller stations). 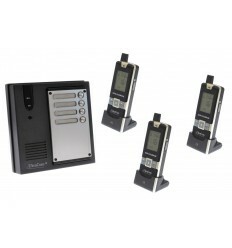 Push to Talk Feature (designed for secure communication). 600 metre Operating Range (line of sight). 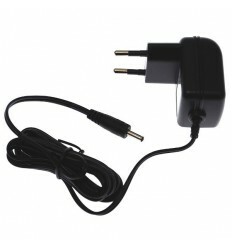 3 & 2-pin Charger supplied. 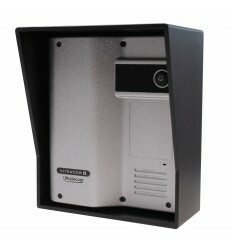 We can offer an additional Aerial which is designed to help Wireless communication, it is not a booster aerial, it is an aerial which allows for a more direct wireless path back to the Handset, the most common use would be to fit the Aerial on the back of a large Gate Post which immediately removes the Gate Post from blocking any Wireless signals. 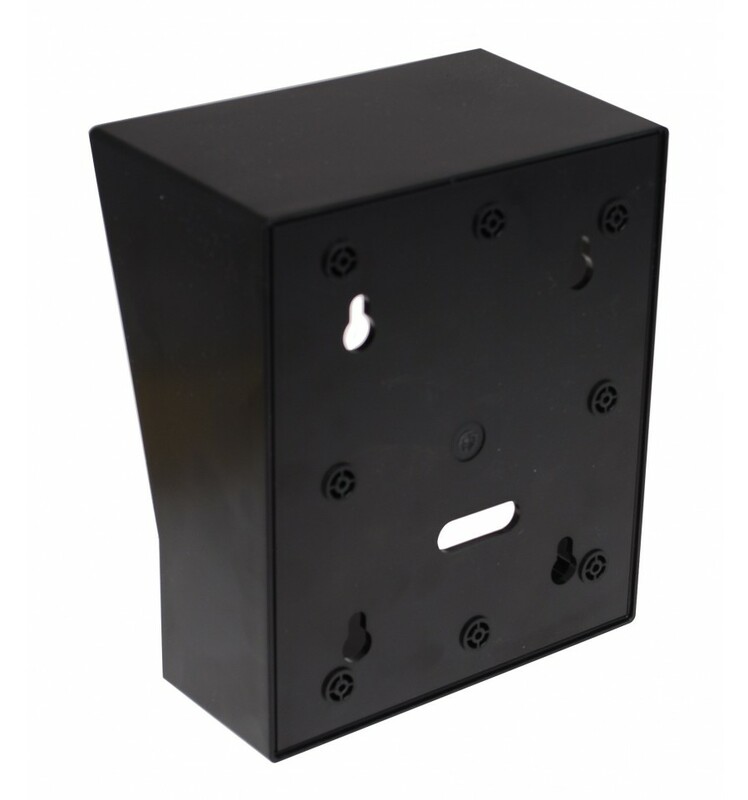 External Aerial (very popular with being fitted onto the rear of a gatepost or pillar to optimize the wireless operating range). 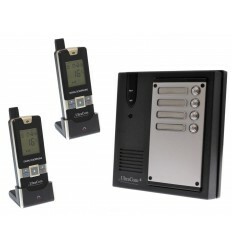 One additional Caller Station (with or without keypad). 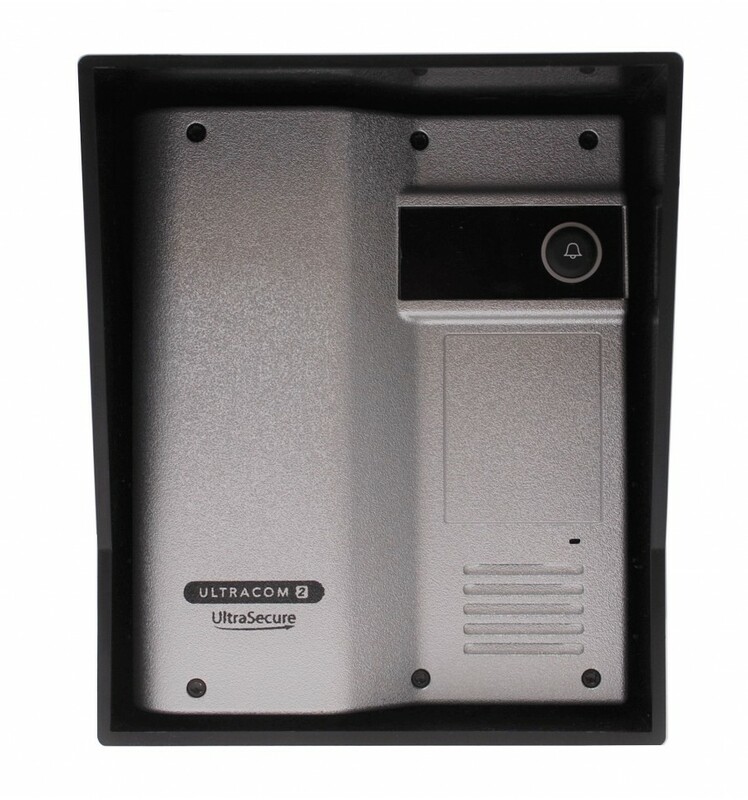 A very popular Wireless Intercom for many types of applications including Automatic Gates & Locked Doors or simply Communication at a very Competitive Price !! 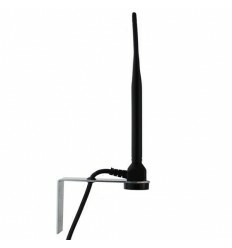 Booster Aerial for the 600 metre Wireless UltraCom Intercom Caller Stations. 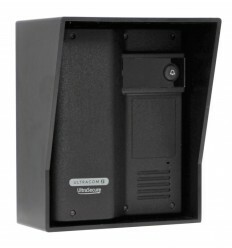 12v Plug in Transformers for use with any of the UltraCom Wireless Video & Audio Intercom Caller Stations. 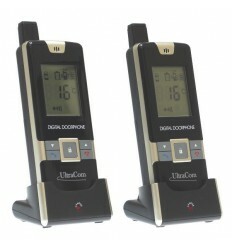 Additional Portable Handset for the 600 metre Wireless UltraCom Intercom. 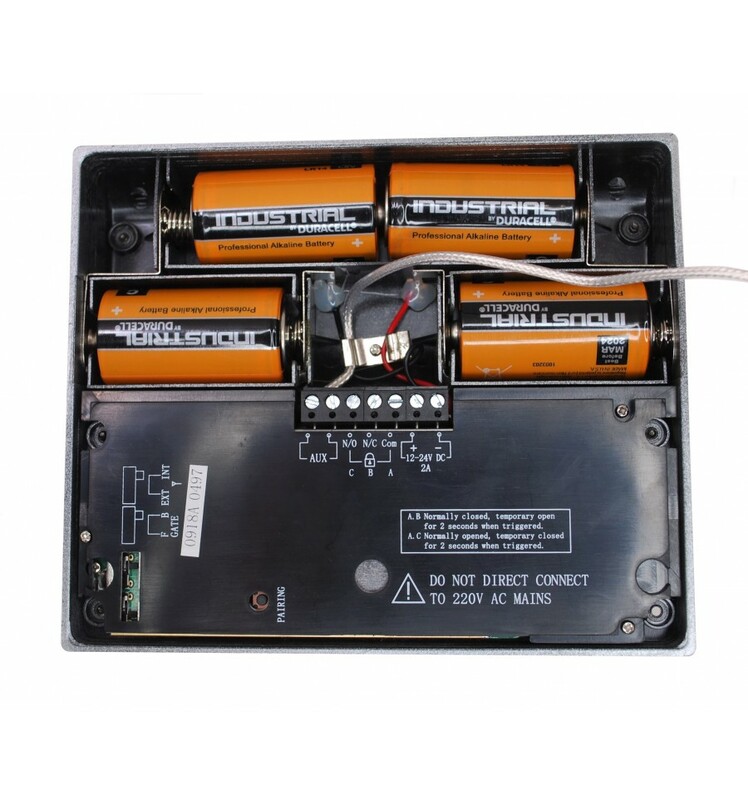 4 x 'C' Type Batteries, ideal for the UltraCom Wireless Intercom Caller Stations. 20 metre Aerial Extension Cable for use between the UltraCom Caller Station & Booster Aerial. 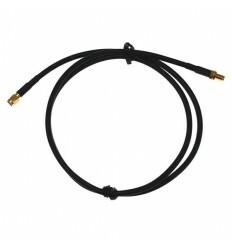 1 metre Aerial Extension Cable for use between the UltraCom Caller Station & Booster Aerial. 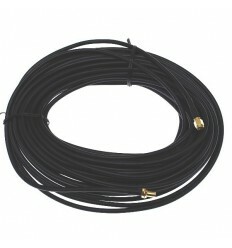 5 metre Aerial Extension Cable for use between the UltraCom Caller Station & Booster Aerial. 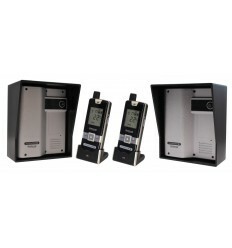 A versatile surface mounting Electronic Door Lock Kit which allows a locked door to be operated via various devices including Intercoms, Keypads, Proximity Tags & Remote Controls (manual override keys supplied). 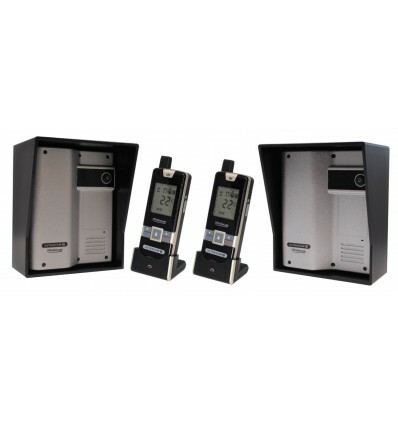 A versatile surface mounting Electronic Door Lock Kit (with Quick Release Internal Knob) which allows a locked door to be operated via various devices including Intercoms, Keypads, Proximity Tags & Remote Controls (manual override keys supplied). Telephone: We are still available in the old fashioned way, give us a call on 01604 589414 or 01604 758438 to talk to a real person, we are happy to give you Friendly, No Obligation advice (lines open 8am to 5.30pm Monday - Thursday, 8am to 5pm Friday). 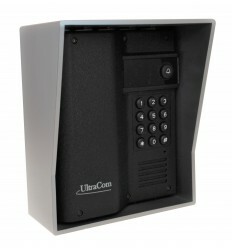 Email: If you don't have time to call us, then send us an email to info@ultrasecuredirect.com. Personal Visit: Some customers find it far easier to come and meet us for a Friendly, No Obligation Consultation (click here for full details). 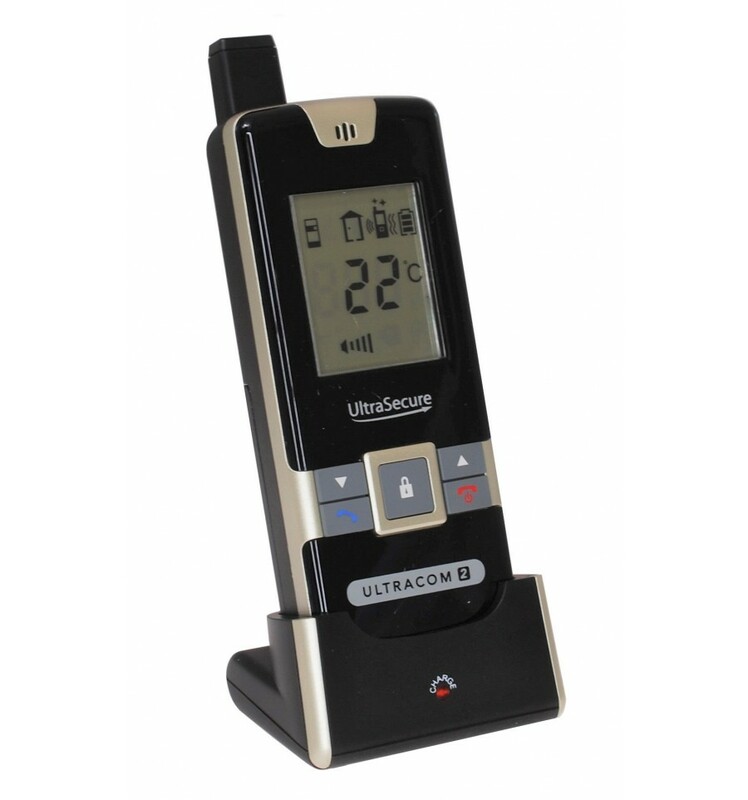 2 x UltraCOM2 Silver Caller Stations (no keypad model). 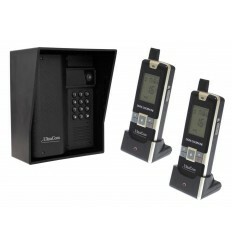 2 x Portable Handsets, Charging Cradles & 3 & 2-pin Chargers. 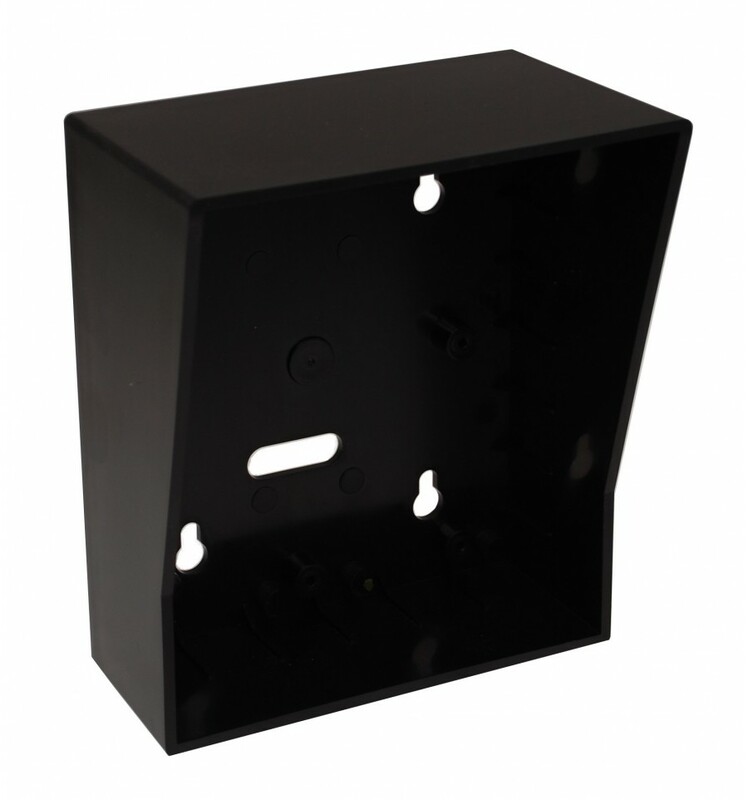 2 x Black Outdoor Hoods. 2 x Set of Screws. Battery Life: 12 - 18 months (in most domestic applications). 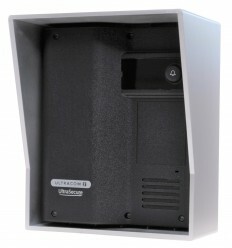 Front or Rear Door/Gate Operation: Yes (if 2 caller stations are purchased). Operating Range: 600 metres (line of sight). Built in Chime: Yes (when call button is pressed). Size: 150 (H) x 125 (W) x 33 (D) mm. Aerial: Internal (standard) or External (optional). Momentary Output: N/O or N/C. 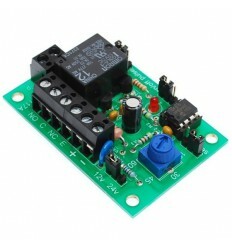 N/O Dry Output Relay (for duration of the chime). 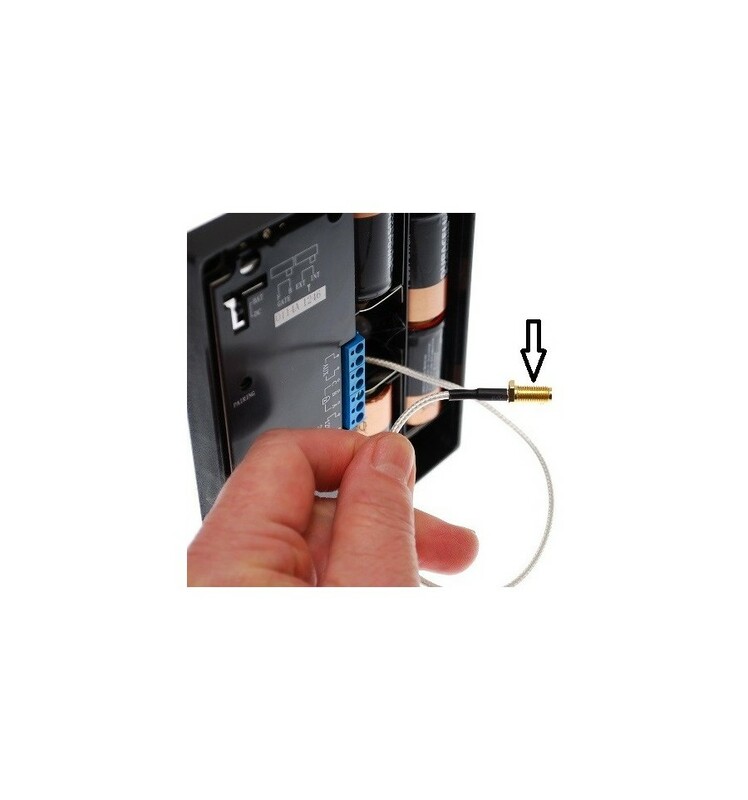 Optional Aerial Connection: Cable 250 mm Long with Screw Connection. Operating Frequency: 863 - 869 Mhz. 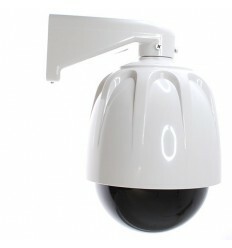 Colour: Silver Caller Station & Black Hood. Size: 160 (H) x 138 (W) x 85 (Deep at Top) mm. 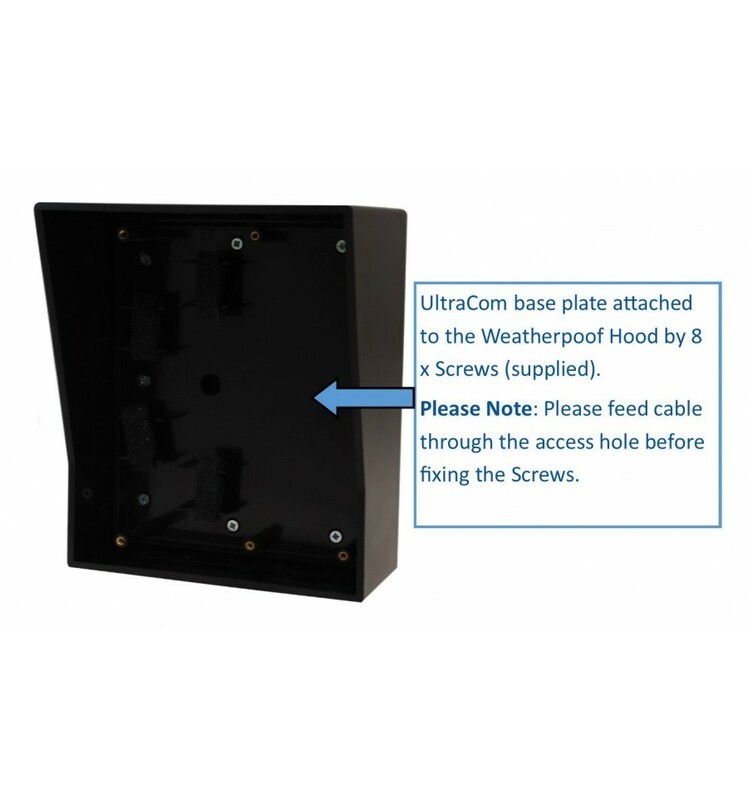 UltraCom Fixing Method: 8 x Self Tapping Screws (supplied). 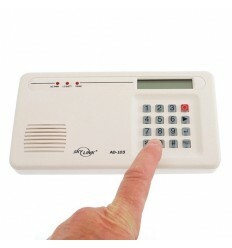 Alert Methods: Chime, Vibration & Flashing Feature. Handset to Handset Option: Yes. Door or Gate Release Functions: Yes. Front & Rear Gate Indicator: Yes (if used with 2 caller stations). Push to Talk Feature (for secure communication). 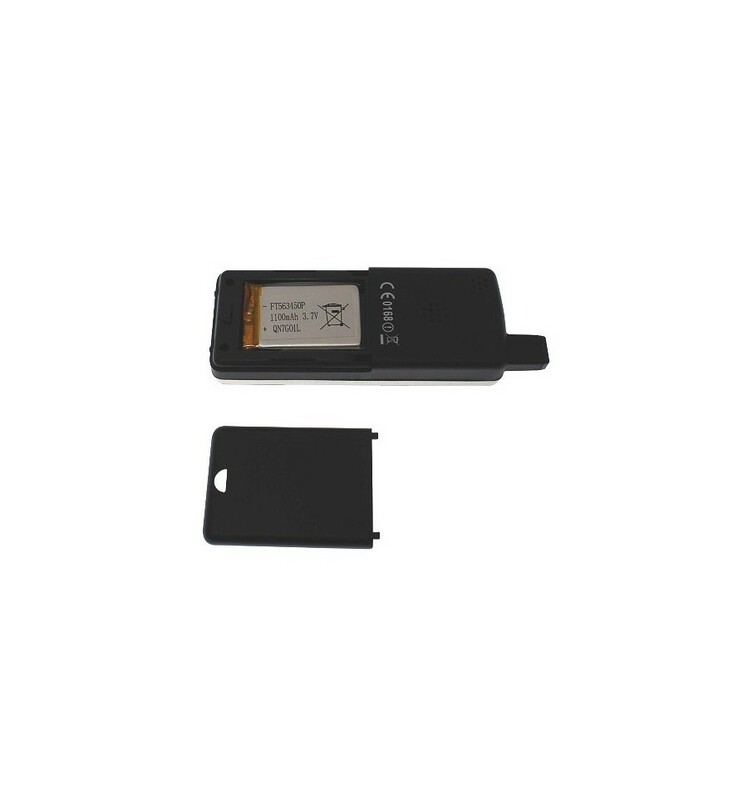 Size of Handset: 150 (H) x 50 (W) x 22 (D) mm. 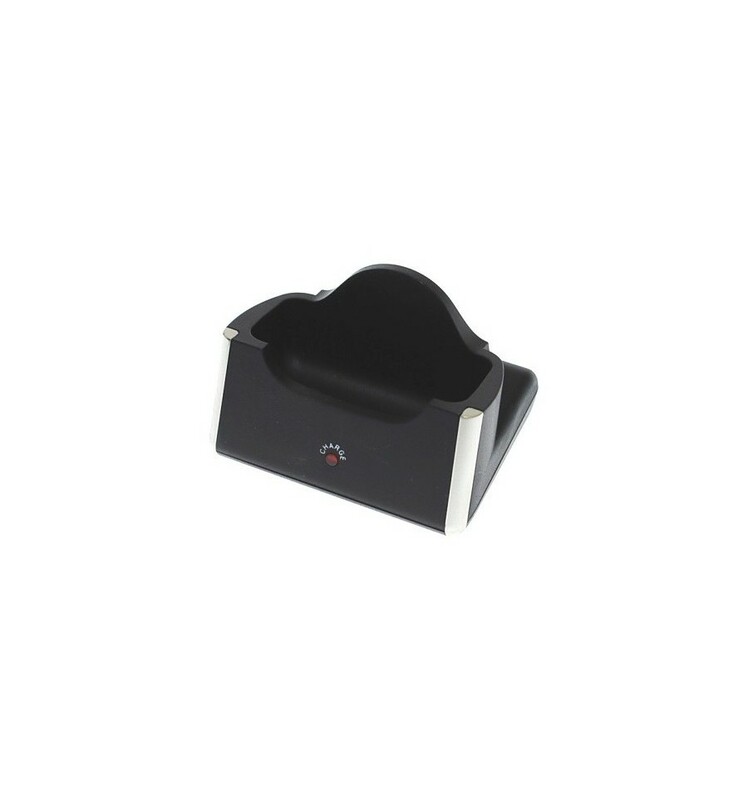 Size of Charging Cradle:40 (H) x 62 (W) x 50 (D) mm. 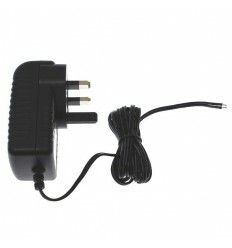 Charger Type: 2 & 3-pin Plug supplied. 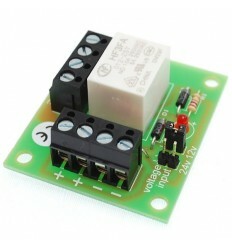 Charger Input:100 - 240v AC. 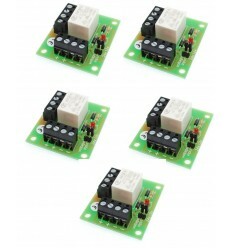 Charger Output: 6v DC 500mA. 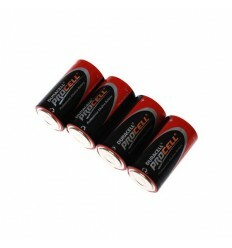 Battery Type: 3.7v 1100 mAH Lithium Re-chargeable. 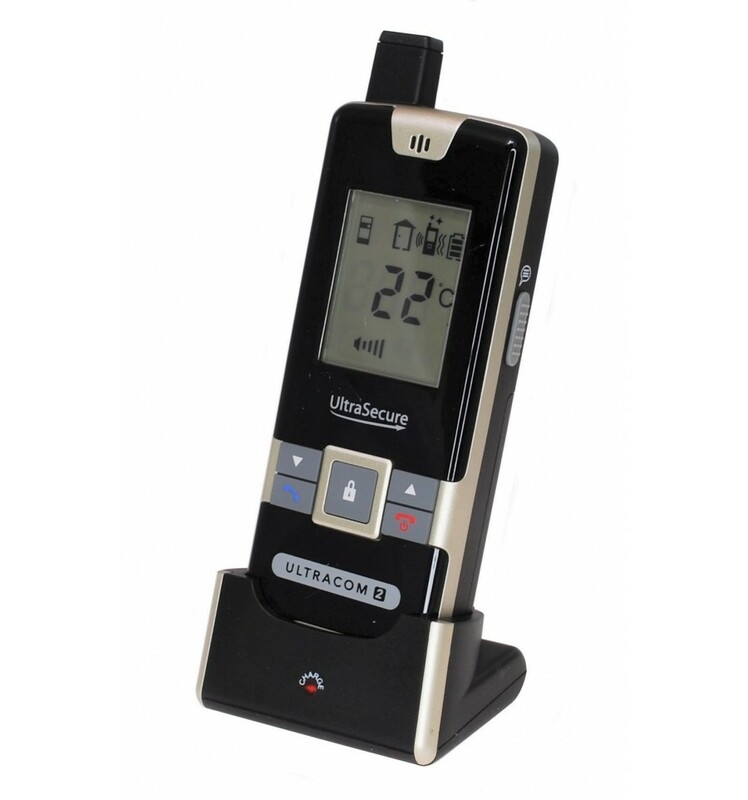 UltraCom 600 metre Handset to Handset Wireless Intercom. XL Wireless Alarm Auto-Dialler Videos.